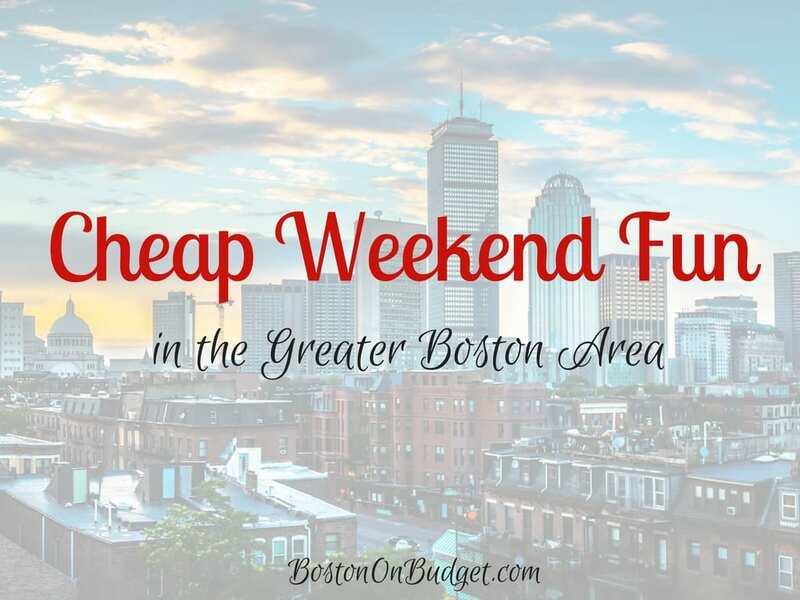 Cheap Weekend Fun in Boston for April 29-30, 2017! 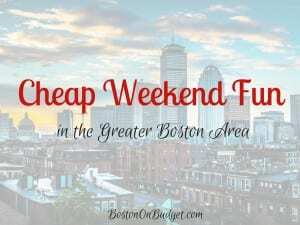 The weather forecast is looking good for the weekend AND there’s SO MANY cheap and free events happening this weekend in Boston! The Japan Festival: April 30, 2017 at Boston Common from 11-6pm. Head to Boston Common for a free day of Japanese culture and food with a music, booths, events, and more! SoWa Open Market Returns: April 29, 2017. The SoWa Open Market returns to the South End this weekend for the season! ArtWeek Boston Returns: April 28-May 7, 2017. Enjoy this award-winning creative festival in Boston with many free events and hands-on activities. Harvard Arts First Festival: April 27-30, 2017 at Harvard University. Enjoy this annual student showcase of art, music, fun, and more. Boston College Arts Festival: April 27-29, 2017 at Boston College. Celebrate the arts with the annual student showcase filled with art, music, theatre, dance, poetry, and more! Brookline Open Studios: April 29-30, 2017 from 11-5pm at art studios in Brookline. Artists in Brookline are opening up their studios for free this weekend to enjoy art and meet the artists! Park Serve Day: Saturday, April 29, 2017 at a variety of parks throughout Boston and Massachusetts. Help prepare state parks and beaches for the season by helping with trash, clearing trails, and sprucing up parks! Free. Run of the Charles: Sunday, April 30, 2017. The Run of the Charles is the largest flat-bottomed boat race in New England so cheer on the 1,500+ racers this weekend! Boston Sailing Center’s Open House: April 29-30, 2017 at 54 Lewis Wharf in Boston. Set sail on Boston Harbor with free sailing trips and discounts on instruction and membership. Community Boating Open House: Saturday, April 29, 2017 at Community Boating by the Charles River. Enjoy a free orientation and go on your first introductory sail! Comedian Tom Cotter: April 27-29, 2017 at Laugh Boston. Head to Laugh Boston for a night of laughs with comedian Tom Cotter best known from America’s Got Talent. Discount tickets available through Goldstar Boston (affiliate) and comp tickets are available through the Goldstar App exclusively. Download the app in iTunes or Google Play for the free tickets. First Annual Boston Comedy Blowout: Saturday, April 29, 2017 at Boch Center Shubert Theatre. Enjoy an evening of lots of laughs with many up and coming comedians and more! Discount tickets available through Goldstar Boston (affiliate link). Peabody Museum of Archaeology and Ethnology 150th Anniversary Celebration: Sunday, April 30, 2017 from 9-5pm. Celebrate the Museum’s 150th Anniversary with free admission to the museum all day + enjoy birthday cake and special activities. Institute of Contemporary Art Play Date: Saturday, April 29, 2017 from 10-4pm at the ICA. FREE admission for up to 2 adults per family when accompanied by children ages 12 and under on Saturday. (Youth 17 and under area always free). MIT Museum: Sunday, April 29, 2017. The MIT Museum is free the last Sunday of each month, September to June.